Do you always complain of having tight hips? Do you stretch out your hips every day hoping they will be “flexible”? I am telling you right now that you’re wasting your time. You can stretch your hip flexors all day if you’d like but you aren’t fixing the underling problem. It’s like taking an Advil for a headache. It will make the pain go away temporarily but it doesn’t fix the fact that you are dehydrated. So what is the underlying problem of having tight hips? Wait for it… The most common problem is that… YOU HAVE A WEAK CORE. Yup, that’s right, your hips are tight because you aren’t doing your proper abdominal training. 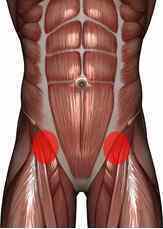 Even though the hip flexors are apart of the “core”, I am referring to the musculature of the mid section. Otherwise known as your “Six Pack”. I am also referring to the low back region otherwise known as the lumbar spine. 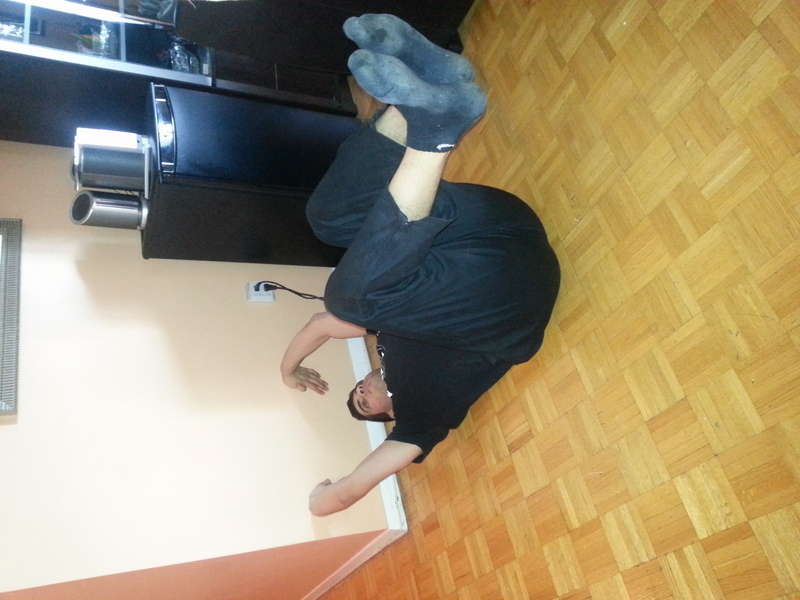 Before you go off to do your sit-ups and crunches just hold up for a sec. 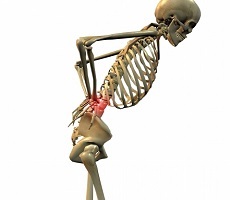 The reason there is no mobility in your hips is because there is no stability in your lumbar spine. Doing all those sit ups all day won’t do anything for giving you a strong mid section. You are actually contributing to the cause. We need to train the core in a form of stability. You see, if your core is weak and mobile, your hips will compensate and provide stability for your weak midsection. Your hips are actually doing their job. Your body is going to need stability somewhere. So if you aren’t getting it from the lumbar region of your spine then you have to get it from somewhere else. 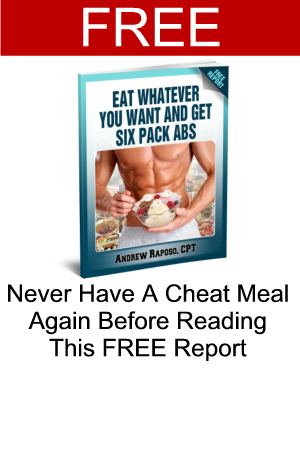 In most cases, the hips will take the hit for that weak midsection of yours. Some joints in our body are meant to be stable and some mobile. Guess what happens when the stable joint and the muscles around it aren’t doing their jobs properly? That’s right, the mobile joint and the muscles around it will start to do the job of the area that is supposed to be stable. This can eventually lead to injury down the road. Now if you you’re still doing sit-ups and crunches, boy you got a lot to learn. All you’re really doing is taking a joint that is made for stability and making it mobile. Not good for your back and not good for your hips. I have many clients who had tight hips but there is one that stands out in particular. She would complain about her hips being tight and could never get down into a deep squat. She told me she stretches her hips all the time and they still “feel tight”. She also told me that she sits down all day at work. Okay, her hip flexors are always flexed in a seated position so that had to be it right? We can say that, BUT her low back isn’t exactly in a great position either. When I assessed her, I definitely saw a lack of core stability. So, here is where I went with this. I did not perform one static stretch with her. All I did with her was I had her do core stability exercises during our warm up and throughout the workout. Within a few sessions she was able to get into a deep squat position comfortably. So what kind of exercises will help with core stability? Well there are many. The ones I am going to show will also work your abdominals much more than crunches and sit-ups do. Ditch those crunches and try these out. 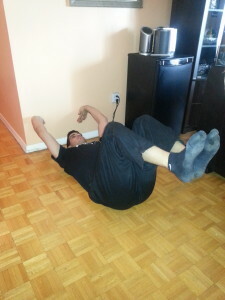 Start off lying on your back with your hands firmly pressed against the wall. Then bring your legs up into a 90-degree angle at your hips and a 90-degree angle at your knees. Once your in this position, press your hands against the wall and then push your low back into the floor. There should be no space underneath your low back. Keeping that tension, you’re going to extend one leg forward while keeping your low back pressed into the floor. Then bring the leg back and extend the other leg forward. Repeat this 10 x for each side. Rest as needed and repeat 2 more times. Start in a regular plank position with a straight line from your head to toes. From here, you’re going to squeeze your abs, glutes, quads, and fists as hard as you can. You’re also going to drive your elbows to your toes as hard as you can. 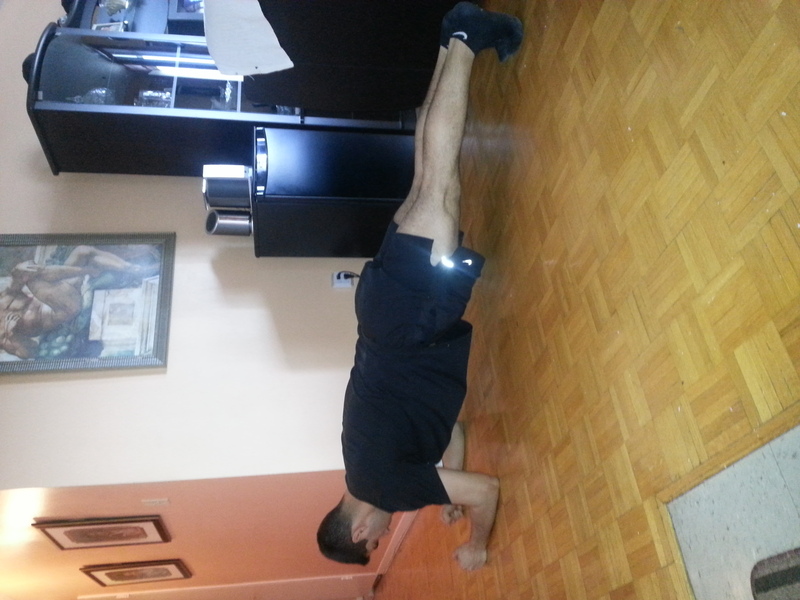 With this type of plank you are creating as much tension as you can throughout your body. If you are not feeling this in your core then you are not squeezing or driving your elbows back hard enough. This isn’t your typical plank you hold for over a minute. Hold this for 10 seconds and then rest for 5-10 seconds and repeat 2 more times. Add these two exercises as a part of your warm up and watch your hips loosen up. On top of that you’ll start to see some definition in your abs. Want more ab and core exercises? Subscribe to my FREE newsletter at the top right hand corner where I share the best and most innovative core exercises. Wow, this is great info. 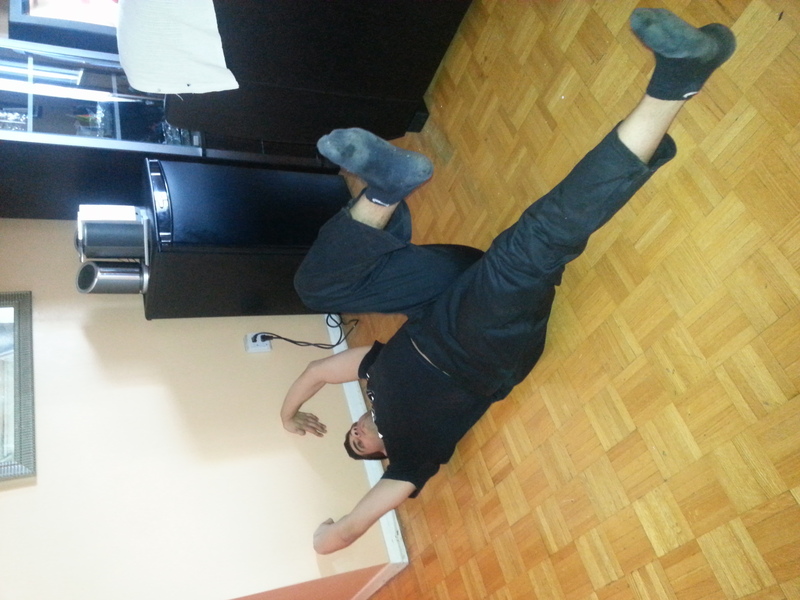 My hip flexors crack when I get out of bed and out of my car…. I’m going to do these exercises! !